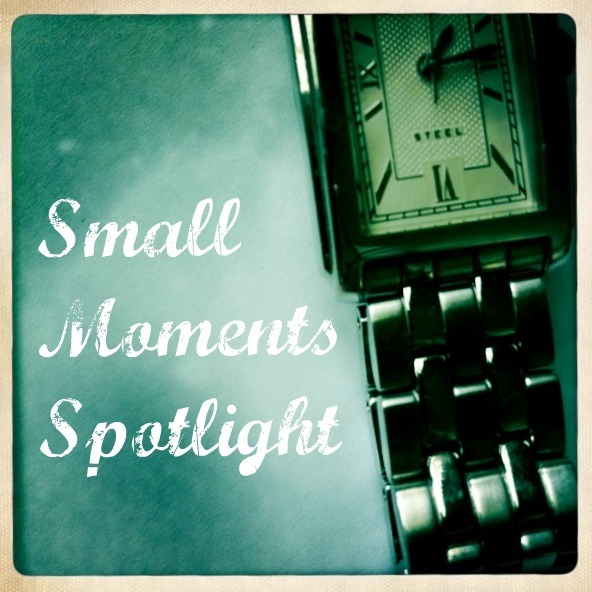 This week, in the Small Moments Spotlight, I have just one post to share. One post filled with gorgeous small moments. One post brimming with love. Please go read at the end of the tunnel and leave Yulia a comment…she is so incredibly lovely. She is dynamic and eclectic, tender and true. I am elated to call Yuliya my friend…both online and in real life. I count her amongst my many blessings. If you have submitted a piece and it isn’t featured here, that doesn’t mean it won’t be in the future. If you should notice a small moment post, or if you’ve written one yourself, please use my “contact me” tab (over there on the left under “site links”) and send me the link; I’d love to read it. If you’ve been featured here and would like to have the Small Moments Spotlight button, let me know and I’ll send it your way. NICHOLE! Eeek! Have I taught you nothing? It's under-sell and over-deliver, not the other way around! So honored to be chosen, thank you friend. Housekeeping note: You have to update your SMS footer – you no longer have a "left" column on your blog. "Contact me" is now a tab on your tab bar below your blog title. You have the BEST taste. That is an exquisite post. A fabulous choice.